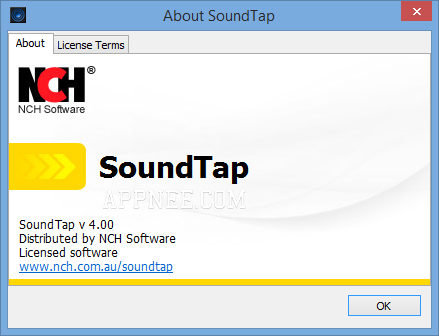 NCH Software | AppNee Freeware Group. 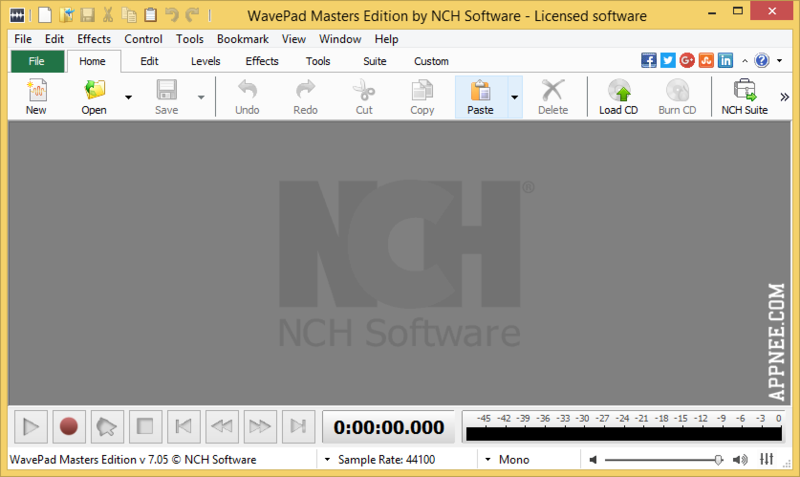 WavePad (full name: WavePad Sound Editor) is a full-featured and professional audio/music editing freeware for home/non-commercial use. It doesn’t need you to have too much basic knowledge for achieving advanced music editing, and is suitable for music lovers who want to manipulate audio files or create their own customized soundtracks. Many of us may have ever planned to design a new, dream house on our own. But with no professional knowledge and skills, most often this idea is difficult to achieve and has been suspended permanently. From now on, you can try to use DreamPlan this home planning solution to design and finally build your dream house with ease. 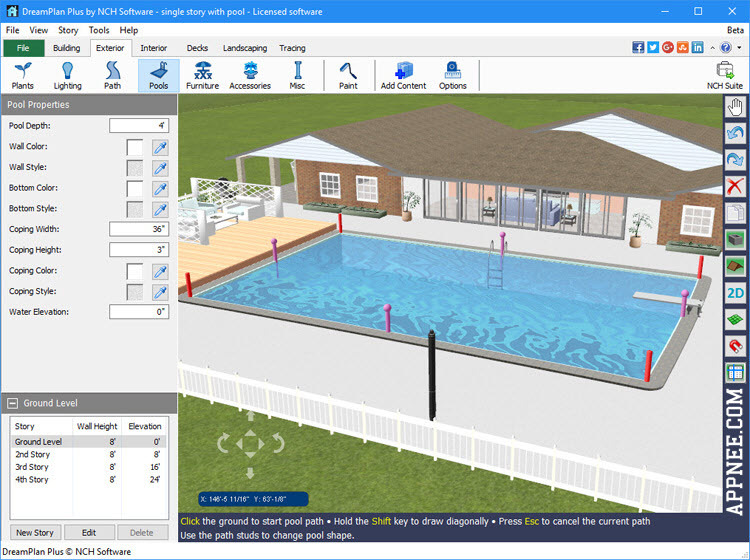 NCH Software‘s tools are famous for compact file size and high efficiency. 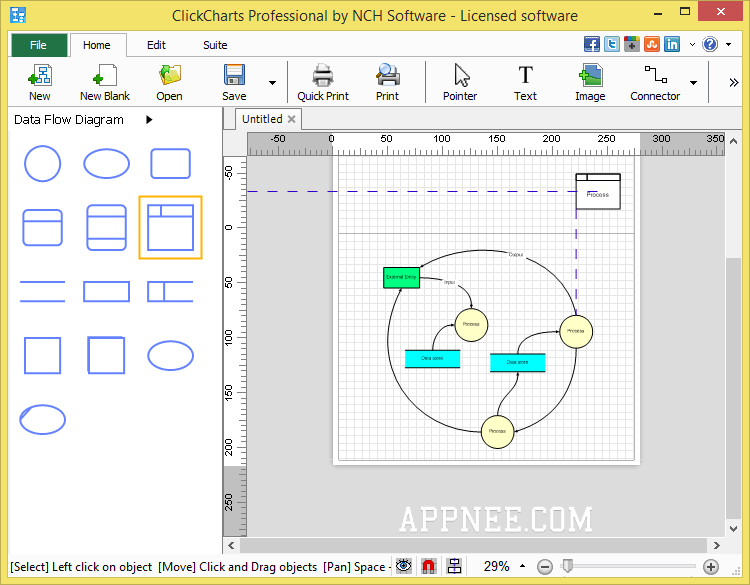 ClickCharts is a tiny and handy app that can help you easily make simple and intuitive flow charts (including the creation of various diagrams or mind maps), so as to clearly show your thinking, planning to others. 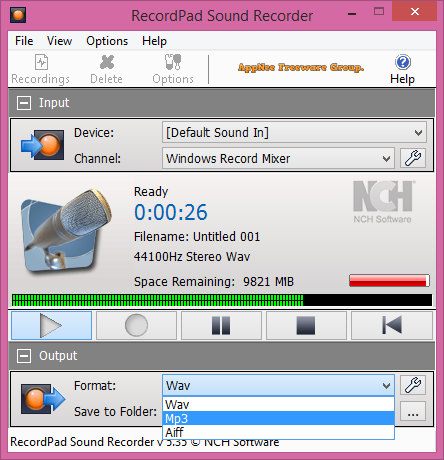 RecordPad (full name: RecordPad Sound Recorder) is a quick, easy and automatic voice, sound, music or any other audio source recording software for Windows and Mac OS X, developed by NCH Software from Australia. It can be used to record audio for digital presentations, creating audio books, recording audio notes, audio messages or audio announcements. 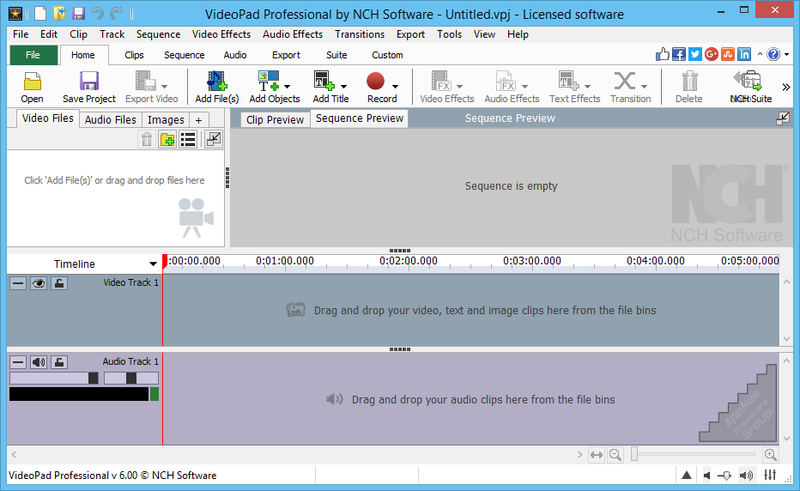 VideoPad Video Editor is a full-featured Instamatic style video editing program for home use, with which you can make professional videos in a few minutes. For most of us, making personal film is never an easy thing, now with VideoPad Video Editor the situation is different. 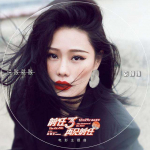 PhotoPad Image Editor (PhotoPad for short) is a super compact digital image editing tool developed by NCH Software, whose SoundTap Streaming Audio Recorder and VideoPad Video Editor you may still remember them. SoundTap Streaming Audio Recorder is very popular and practical tiny real-time streaming audio recorder. It enables users to capture sound from all kinds of digital audio sources (including microphone, MIDI, VCR, streaming media audio, all kinds of software, etc.) and save it as MP3/WAV file.